We’re excited to announce we’ve received a $2,700 grant from the Python Software Foundation! The grant will support our Invent to Learn summer program at the BakerRipley Fab Lab in East Aldine. We’re super grateful to the Python Software Foundation for helping support Invent to Learn. Read below to see more about how we’re seeding the East Aldine community with budding computation thinkers thanks to this grant! The BakerRipley Fab Lab, a digital fabrication lab embedded in the East Aldine Community Center, will open this Fall. We’re collaborating with Fab Lab in our Invent to Learn Summer Program for middle schoolers and high schoolers from the East Aldine community. Over the next 3 weeks, we’ll teach students computing principles through blended, hands-on programming and maker projects. Using the Python programming language, students will program the physical world with lights and sensors, build wearable electronic devices, and visualize local Houston data. Code Park's Invent to Learn in action! Students learn from Wanjun about LEDs to built a circuit and program how they light up in Python at the East Aldine BakerRipley Fab Lab, July 25th, 2018. Photograph courtesy of BakerRipley. Faculty of the Fab Lab will participate in our classes to observe and adapt the classes into their growing collection of workshop offerings. We hope faculty and students both will inspire others in the community as they bring maker projects to life with computer science principles. The mission of the Python Software Foundation is to promote, protect, and advance the Python programming language, and to support and facilitate the growth of a diverse and international community of Python programmers. 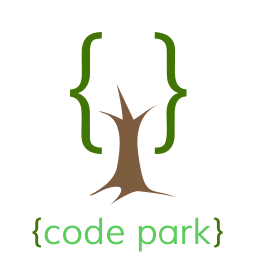 We at Code Park look forward to a successful Invent to Learn Summer thanks to support from the Python Software Foundation and from community members like you.